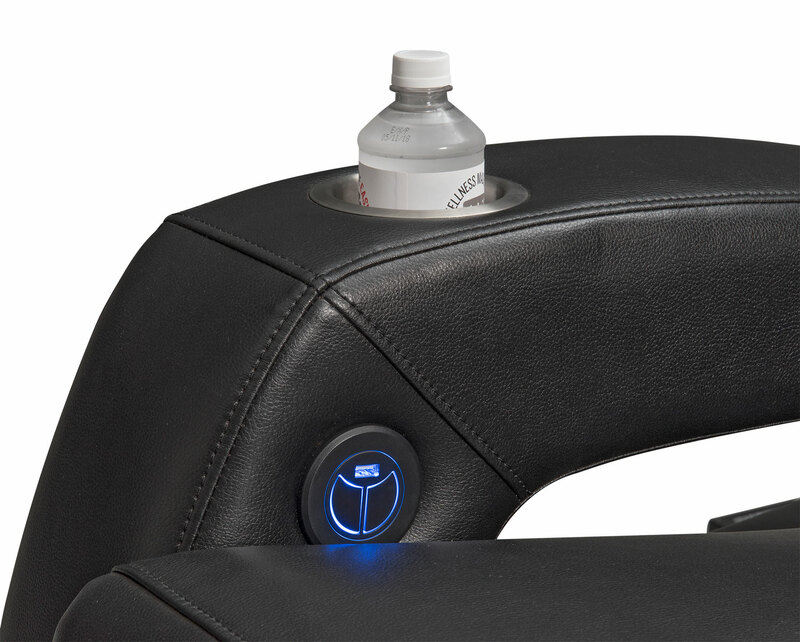 The lit-up power reclining control beckons you to customize your comfort. Product Description Movie Night. 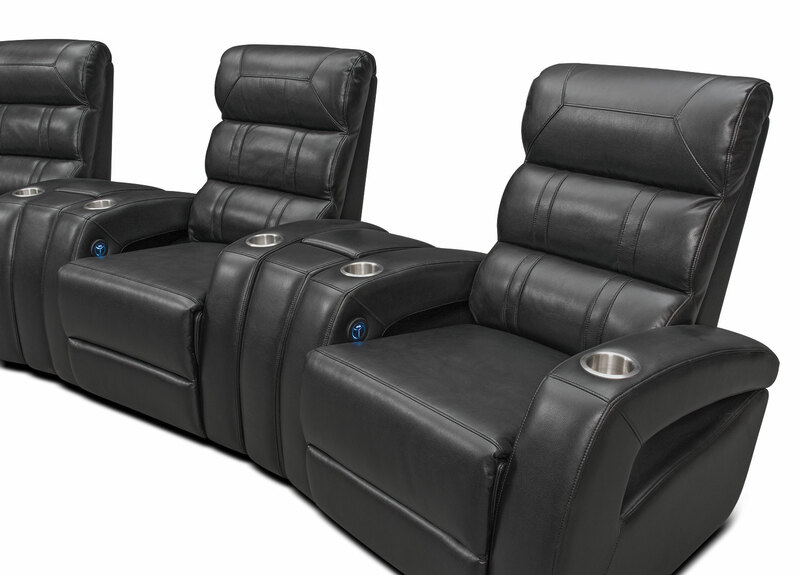 Sit back and enjoy entertainment at its finest with the comfortable Bravo power reclining home theater sectional. 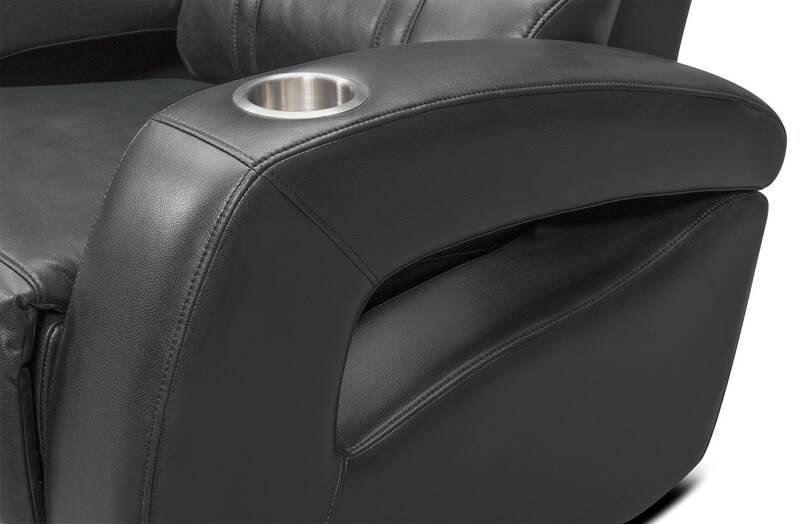 The soft black leather-like fabric will keep you relaxed for family movie night or for gathering friends to watch an exciting sporting event on the big screen. Curved arms and a high-back style will contour to your entire body, providing support from head to toe. 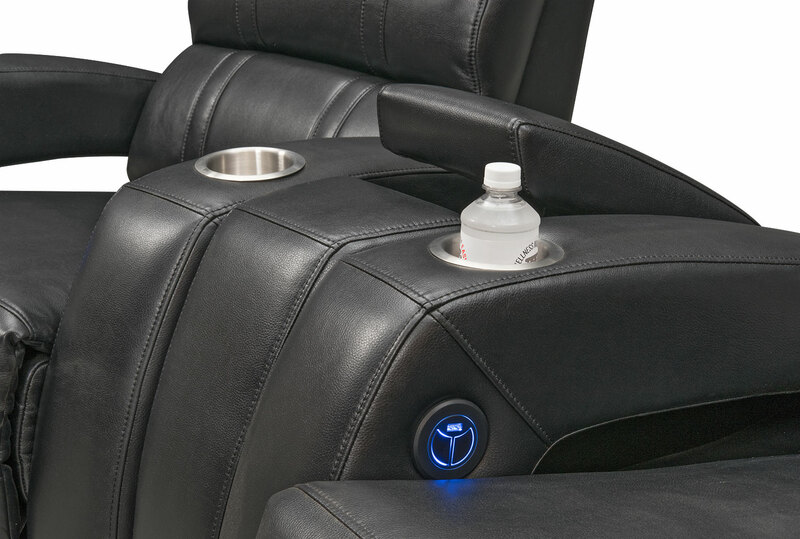 Power reclining, additional storage, lighted USB power controls and convenient stainless steel cupholders all make this theater-style seating a must-have in any entertaining space. Customer assembly is required. 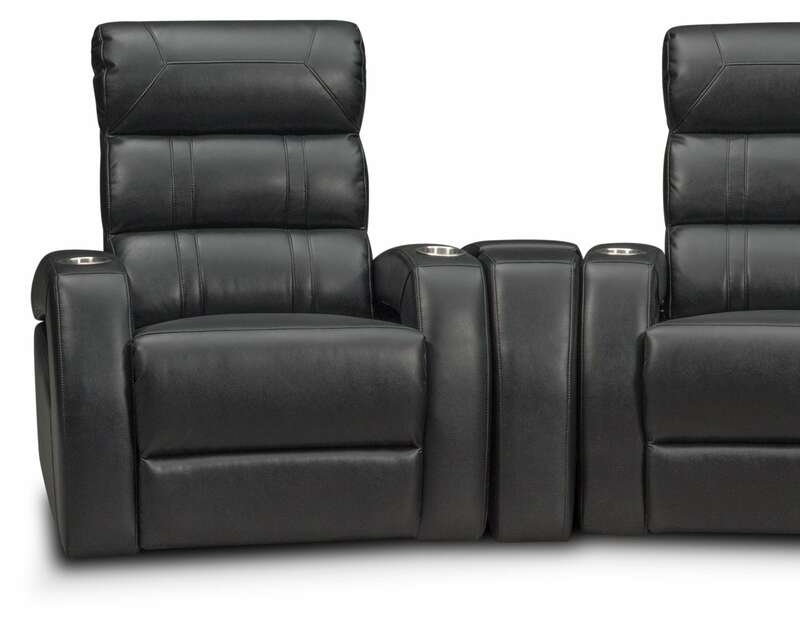 Five-piece sectional includes three power recliners and two storage consoles, as shown. 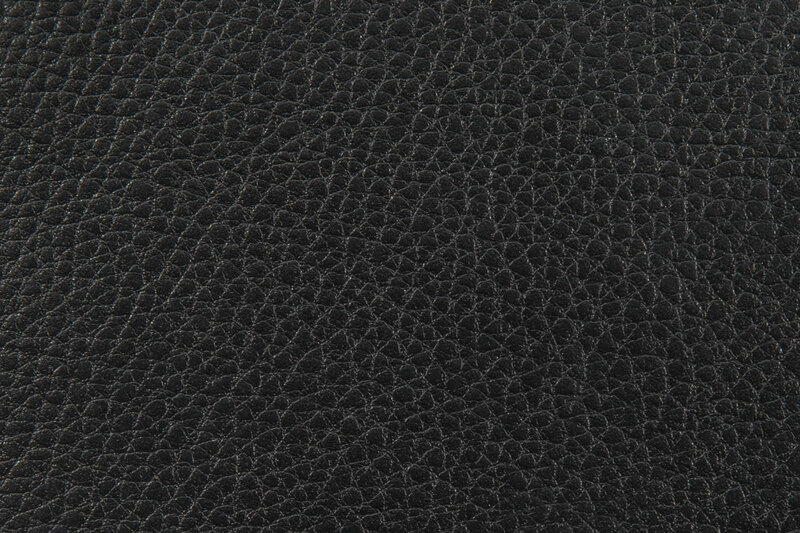 Unique Features: Leather-like fabric is unbelievably smooth and undeniably cozy. Lift-top storage console accommodates your snacks or remotes. 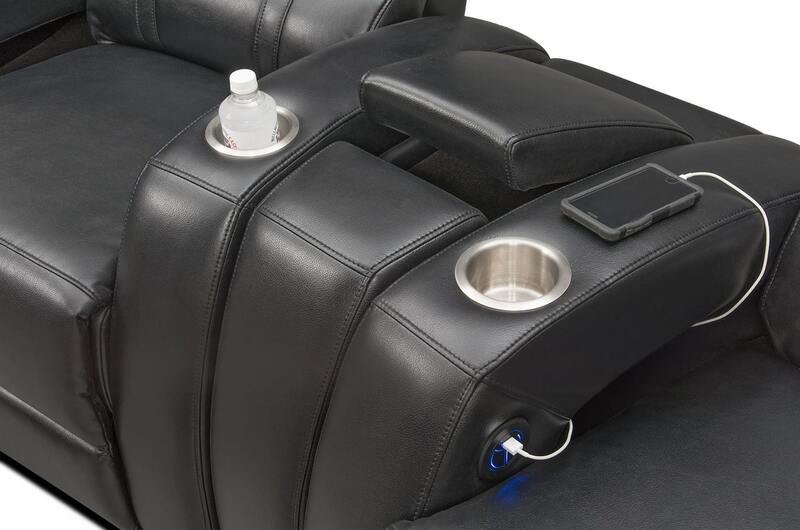 Power reclining, USB-equipped power reclining controls and stainless steel cupholders make you want to skip the movies and stay home instead. 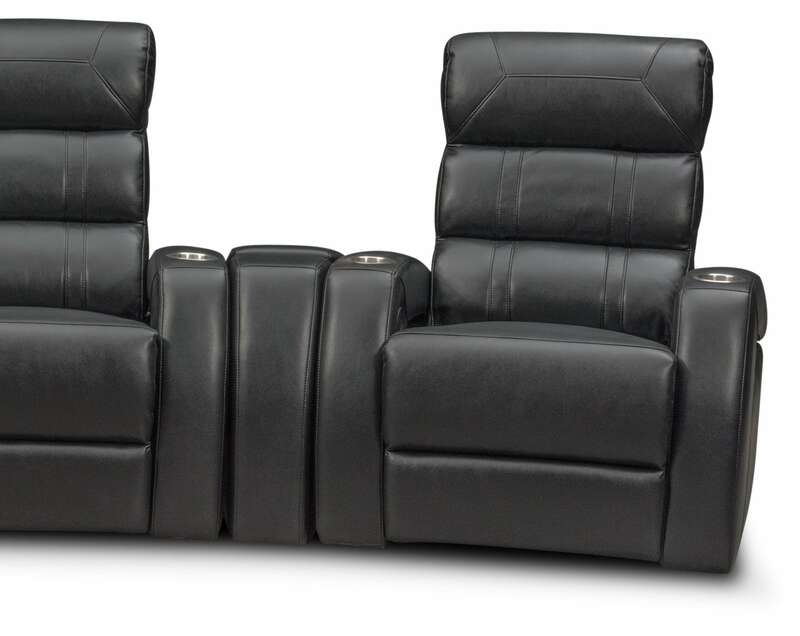 Curved arms and high back-style seating provide full support. Construction: Frame constructed of hardwood to ensure durability and strength. 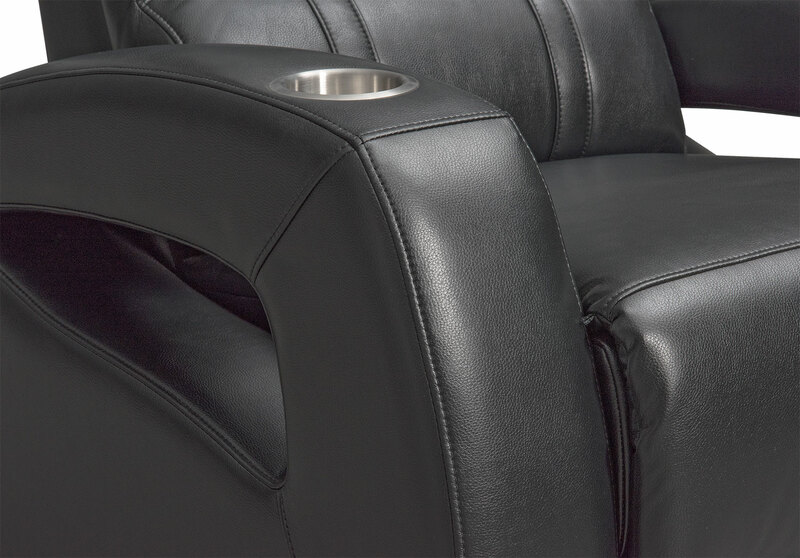 Cushions: High-density, fiber-wrapped pocket coil cushions guarantee comfortable seating. Springs: 8.5-gauge, sinuous wire springs prevent sagging.